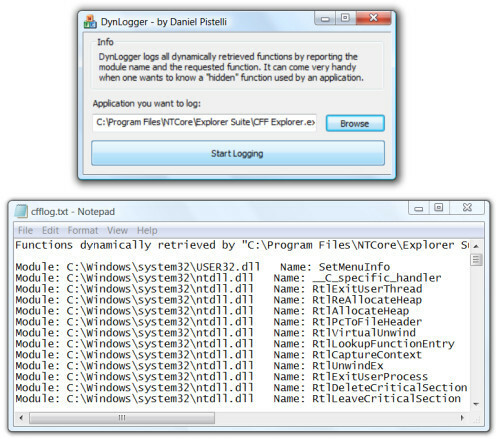 DynLogger logs all dynamically retrieved functions by reporting the module name and the requested function. It also logs loaded modules. It can come very handy when one wants to know a “hidden” function used by an application. Download the x64 version DynLogger only if the process is not an x86 process. In all other cases download the x86 version.